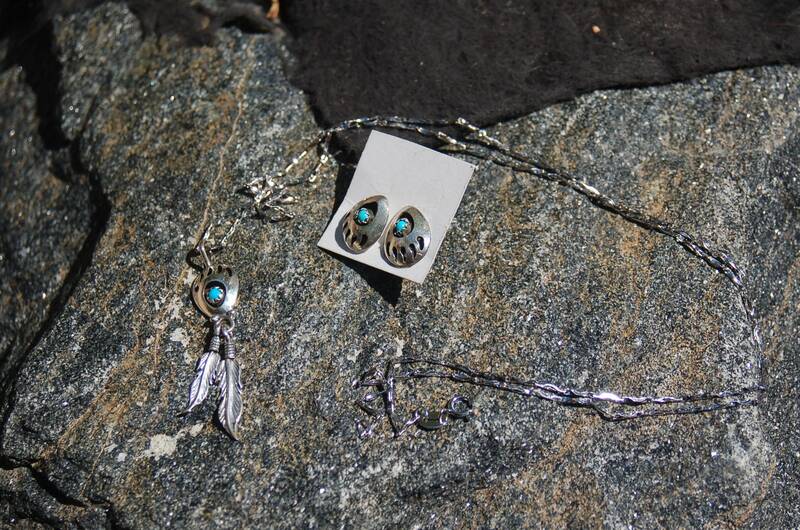 This pendant features a turquoise stone set in a sterling silver bezel. The bear paw is cut out around the stone giving it a very nice shadow box effect. 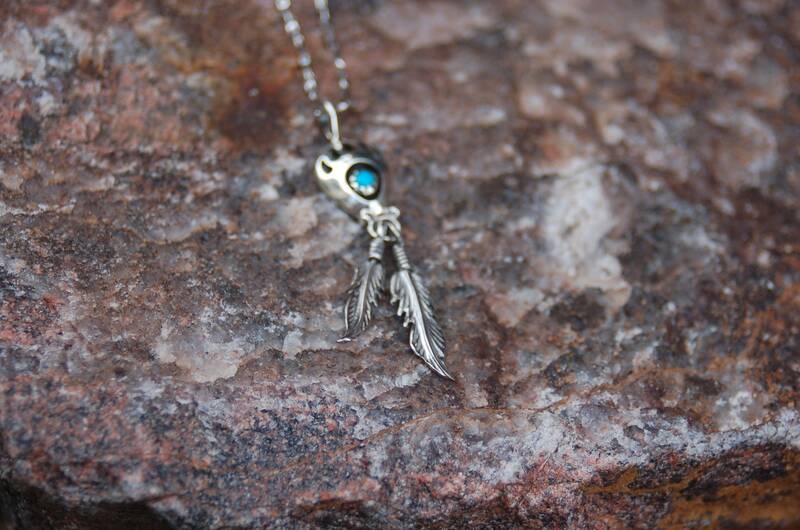 Dangling below the pendant are two hand-stamped feathers. 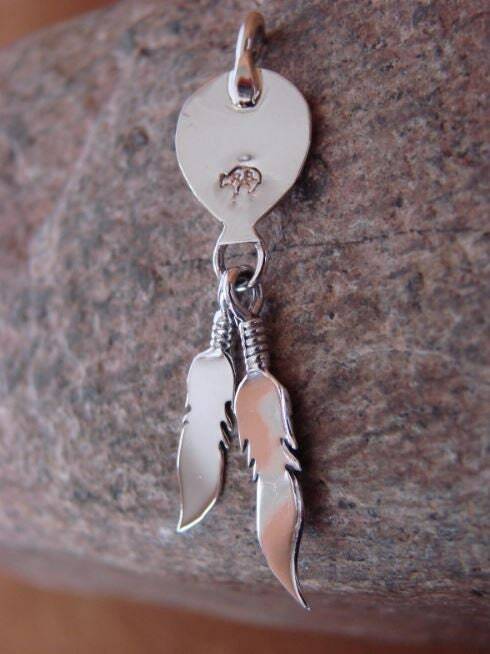 The pendant was handmade by Annie Spencer with the Running Bear Shop and is signed on the back. This Bear Claw set is only $62. Order now to guarantee availability.